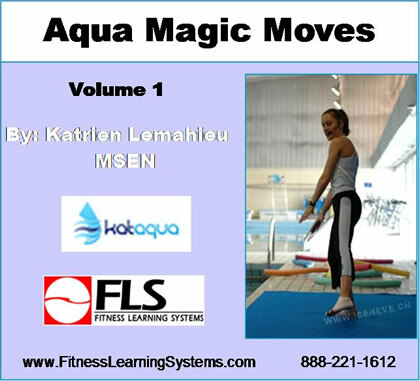 Aqua Magic Moves is aquatic choreography on steroids! You will never run out of aquatic moves and variations for personal training, therapy, or all levels of group fitness with this exceptional choreography course. You are provided with dozens of variations for three base moves: a Jumping T-Jack, a Soccer Jog, and a Tango Twist. Special attention is placed on basic knowledge and careful consideration for safe and effective transitions in the aquatic environment. This course is packed with videos to help you with pool and deck instruction, and to help you see and practice these innovative moves. You will never approach your aquatic exercise choreography the same! Discuss and analyse basic changes in aquatic choreography with ways to increase and decrease intensity through the use of several principles and methods.